Why not write an opera about French history? While subjects from the Bible and mythology abound in opera, as well as a few violent scenes from the history of the British monarchy, Giacomo Meyerbeer decided to tackle, in a style full of audacity and infused with romanticism, the St. Bartholomew's Day Massacre. 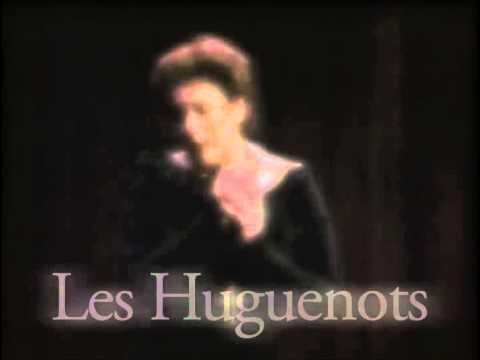 As soon as it was written, Les Huguenots captured the public's imagination. Entire generations would applaud this lavish historical production, which became one of the greatest triumphs in the history of French opera. Today, the magic is intact. In music filled with German, Italian and French influences, Meyerbeer created a pageant that would impress Verdi, Wagner and even Mussorgsky. Yet there is more than pageantry to the work. At the centre of the parades of soldiers, throngs of students, clerics and courtesans, seven prominent characters come to life, fall in love and are torn apart. This is the secret of Meyerbeer’s success. The action takes place in the Touraine region, and then in Paris, in 1572, during a religious war between Catholics and Protestants. A Huguenot, Raoul de Nangis, has met a mysterious woman, who he has rescued and fallen in love with. He does not know at the time that Valentine, the daughter of St. Bris, is a Catholic and Marguerite de Valois’ lady in waiting. She is also engaged to marry the Count of Nevers. From her castle in Chenonceaux, Marguerite de Valois hopes to bring the two religions together. To achieve this, she orders Raoul to marry Valentine. However, convinced that Valentine is still engaged to Nevers - when in fact the engagement has been broken off – Raoul refuses to comply…provoking the Catholics’ ire. The young Huguenot dies in the St. Bartholomew's Day Massacre, along with Valentine, who, after converting to Protestantism in order to marry Raoul, is killed by her own father. During a banquet gathering Protestants and Catholics at the Count of Nevers’ castle, Raoul de Nangis, a Protestant, tells of an unknown beauty, who he rescued from a group of students and is in love with. Among the guests is Marcel, Raoul’s servant. The old man is a fervent Protestant. The Catholic guests disgust him and he sings the Huguenot battle song from the siege of La Rochelle. Raoul de Nangis gets another glimpse of his mysterious stranger. Her name is in fact Valentine, the daughter of St. Bris. She has come to ask the Count of Nevers to break offer her engagement to marry him. Nevers accepts, but Raoul does not overhear their conversation. Valentine is also Marguerite de Valois’ lady in waiting. The Queen of Navarre hopes to ease religious tensions by marrying a Catholic (Valentine) to a Protestant (Raoul). Surrounded by her court, Marguerite prepares for Raoul's visit. 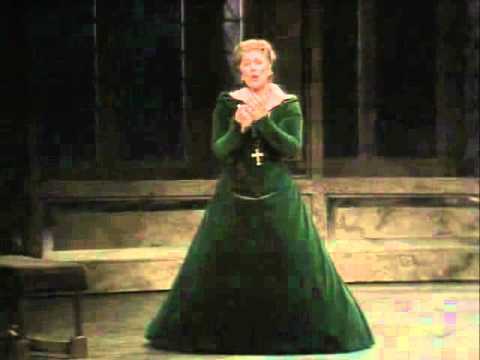 Raoul de Nangis, a Huguenot, refuses to marry Valentine, who he believes is still engaged to marry the Count of Nevers.But by refusing to do so, he has offended the Catholics and fanned the flames of religious conflict.Valentine laments her future and ill-fated love for Raoul. While Raoul endeavours to meet Valentine, St. Bris and his men plan the St. Bartholomew's Day Massacre. The massacre and its consequences are terrible:Nevers is killed, while Valentine, who has converted to Protestantism, is killed, along with Raoul, by her own father.